We’d love your help. Let us know what’s wrong with this preview of Legacy of Ghosts by Joleene Naylor. 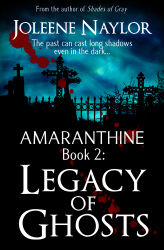 To ask other readers questions about Legacy of Ghosts, please sign up. This book picks up where the first one, Shades of Gray, left off. All Jorick wants is some peace and quiet, so he takes Katelina to his home, which hasn't been inhabited for a long time, given the dust and cobwebs. He then runs off to a secret room which he locks so Katelina can't see what's in it. It's stuff like that which intrigues me, and finding out about his past that he held back from Katelina was fun to learn. While Katelina is doubting Jorick's feelings for her, Oren is trying to convin This book picks up where the first one, Shades of Gray, left off. All Jorick wants is some peace and quiet, so he takes Katelina to his home, which hasn't been inhabited for a long time, given the dust and cobwebs. He then runs off to a secret room which he locks so Katelina can't see what's in it. It's stuff like that which intrigues me, and finding out about his past that he held back from Katelina was fun to learn. While Katelina is doubting Jorick's feelings for her, Oren is trying to convince Jorick to battle Kateesha and her war coven. Jorick refuses to join, so other vampires come along to try to convince him, and it's when Katelina almost dies that he realizes he has no choice. He must protect Katelina. What I liked, besides the secret room and secret letters, was the emotional struggle Katelina faced as she figured out her place in Jorick's life. I usually read romance, so it's no wonder that part caught my attention as much as it did. I also enjoyed the link Jorick had to establish between them in order to save her. The author used this to show her humor as the two had to deal with knowing each other's thoughts, and it was sweet when Katelina got to share in Jorick's memories of his initial attraction for her. What I especially enjoyed, however, was what happened when Jorick, Katelina, and the others went in to attack Kateesha's coven. I never once imagined Katelina would end up doing what she did! I can't give that away though because it was the best part of the book and it would spoil it for others who haven't read it yet. I read Legacy of Ghosts on the heels of Shades of Gray, and I enjoyed it as much as I enjoyed the first one. Again Ms. Naylor nailed a great storyline, with different traditions and ways to view the vampire world. Keeping many characters from Shades of Gray to continue on through this book, she continued to build on them to give them all more depth. The relationship between Katelina and Jorick was rich and sad at times. You could feel for each of their hurts as they tried to figure out was best I read Legacy of Ghosts on the heels of Shades of Gray, and I enjoyed it as much as I enjoyed the first one. The relationship between Katelina and Jorick was rich and sad at times. You could feel for each of their hurts as they tried to figure out was best for not only themselves but each other. The action in the story was paced well and kept you involved in the story, allowing you to picture what was happening deep inside your mind. I enjoy Ms. Naylor’s writing style and your continued use of humor in this book. I look forward to reading more from her. Legacy of Ghosts continues the story from Shades of Gray. I could not set this book down either. Joleene Naylor has done some exceptional writing. The story starts with Jorick and Katalina going to Jorick's house. Here we get introduced to more characters and learn a little of Jorick's past. As the book continues, the action scenes are just as great as in Shades of Gray. Again, this is not a book for children. Legacy of Ghosts kept my interest all the way through without one boring part. I hated Legacy of Ghosts continues the story from Shades of Gray. I could not set this book down either. Joleene Naylor has done some exceptional writing. The story starts with Jorick and Katalina going to Jorick's house. Here we get introduced to more characters and learn a little of Jorick's past. As the book continues, the action scenes are just as great as in Shades of Gray. Again, this is not a book for children. Legacy of Ghosts kept my interest all the way through without one boring part. I hated whenever I had to set the book down for any reason. Just as good as the first! Couldn't stop reading it. Joleene Naylor is such a great author. She has such a fluid writing style that draws you right in! Starting on the third one as soon as I finish with this review, lol! As was the first book in this series, this one was very good. If you want action, then this is the series for you. Just when you think you have things figured out, it goes a different way. I will say though, they sure do fight like an old married couple. Two weeks after the show down with Claudius, Katelina is trying to settle into her stay a Jorick's quaint little home by the beach. Surrounded by stacks upon stacks of books, no modern technology to speak of, and her savior constantly disappearing behind a mysterious white door, Katelina soon finds herself wondering about her situation more and more. With a battle on the horizon, Katelina finds herself staring down the battle of that age old sentiment, "Don't ask questions that you're not ready Two weeks after the show down with Claudius, Katelina is trying to settle into her stay a Jorick's quaint little home by the beach. Surrounded by stacks upon stacks of books, no modern technology to speak of, and her savior constantly disappearing behind a mysterious white door, Katelina soon finds herself wondering about her situation more and more. With a battle on the horizon, Katelina finds herself staring down the battle of that age old sentiment, "Don't ask questions that you're not ready to hear the answer to." It is very rare to find a book series that has a good sequel. They're typically boring, long winded, and are never your favorite. Finding myself in the midst of writing a sequel, I worry about those very things. However, Joleene Naylor did NOT disappoint with this exciting sequel to Shades of Gray. Legacy of Ghosts was definitely a book that was full of action, romance, and drama! I love this series! I love all the battles but this book was mostly verbal fighting...lol...damn I wanted to slap some of them! Oren is so damn frustrating! I liked the interaction between Jorick and Katelina in this one it was explosive and raw and just perfect. This book starts off where the last one left off with Jorick and Katelina going to his home. When they get there they are set upon by several people all of who have several options on whether or not Jorick should or should not Join in on I love this series! I love all the battles but this book was mostly verbal fighting...lol...damn I wanted to slap some of them! Oren is so damn frustrating! I liked the interaction between Jorick and Katelina in this one it was explosive and raw and just perfect. This book starts off where the last one left off with Jorick and Katelina going to his home. When they get there they are set upon by several people all of who have several options on whether or not Jorick should or should not Join in on Oren's war against the Guild. Jorick determined to have some peace at home with Katelina declines, but fate it would seem has other plans for them when Katelina is attacked by goons sent by and old enemy bent out for revenge and Jorick must join forces with Oren in order to retaliate. Will they die in this battle? no one knows, but Katelina is determined to prove her worth no only to Jorick but to the others as well for she may be a human but she is no coward! In the second book in the Amaranthine series, Katelina and Jorick attempt to find solace in his home by the sea. Unfortunately, Jorick's obligations to his fledgling and a cruel vampire's thirst for vengeance prevent Katelina from finding the peace she deserves. Though Jorick seeks to protect her, his nature prevents him from giving her the comfort she needs. A dark secret from Jorick's past casts shadows between them, preventing Katelina and Jorick from truly cementing the emotional bond betwee In the second book in the Amaranthine series, Katelina and Jorick attempt to find solace in his home by the sea. Unfortunately, Jorick's obligations to his fledgling and a cruel vampire's thirst for vengeance prevent Katelina from finding the peace she deserves. Though Jorick seeks to protect her, his nature prevents him from giving her the comfort she needs. A dark secret from Jorick's past casts shadows between them, preventing Katelina and Jorick from truly cementing the emotional bond between them. As a result, Katelina feels torn between her old life, and this new, unstable existence with Jorick. The more she longs for increased communication between them, the more he clams up. After finishing Shades of Gray I went right onto Amazon and bought Legacy of Ghosts. Naylor didn't disappoint! Katelina's very human self seems so inadequate with the likes of the vampires that she is surrounded with (most at no choice of her own) yet she handles herself with fortitude that I could only hope to have. I can't help but enjoy the relationship she has with Jorick. Between his disgust over all human necessities, her constant need to question and the constant trouble plagueing them I' After finishing Shades of Gray I went right onto Amazon and bought Legacy of Ghosts. Naylor didn't disappoint! Katelina's very human self seems so inadequate with the likes of the vampires that she is surrounded with (most at no choice of her own) yet she handles herself with fortitude that I could only hope to have. I can't help but enjoy the relationship she has with Jorick. Between his disgust over all human necessities, her constant need to question and the constant trouble plagueing them I'm kept on my toes and in waves of laughter. "Mummies...Zombies?" OH, I laughed until I had tears streaming form my face imagining Katelina's excitement that he was actually answering her questions for once and desire to know the truth as with the frustrated look on Jorick's! this book was amazing! just like the first book, I couldn't put it down! the story line, charecters are all unique and each of them have a personality you just either love, like, dislike or even hate. however, that's what makes a great book! I am continuing with this 8 book series and am not gonna stop until im done!! After reading the first book I was hooked!! I'm happy to find this one picked right up were the first left off. Katelina and Jorick have become new friends and I loved seeing what happens in their world! Add in everyone else and there is such a cast, I'll be happy to find out more of their stories by picking up the other books in the series! I loved the first book, I found this one to be less than interesting. It was annoying! Katelina was annoying, whiney, nosey, and just downright frustrating. I wanted her to die in this book, and as many times as she was beaten up I can't believe she didn't. Second book in the series is just as good as the first! The books tie together, it is a true series. After first book, I immediately read 2nd book. Quick but a good story line and believable characters. In her spare time, Joleene is a freelance book cover designer and for-fun photographer . 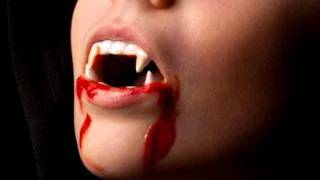 She maintains several blogs full of odd ramblings, and occasionally Joleene Naylor is the author of the glitter-less Amaranthine vampire series, a world where vampires aren't for children. As a compliment to the novel series, she has also written several short stories, including the Vampire Morsels collection.